3D models are the starting point of all 3D printing projects. Without a 3D model, a 3D printer doesn’t know what to print. 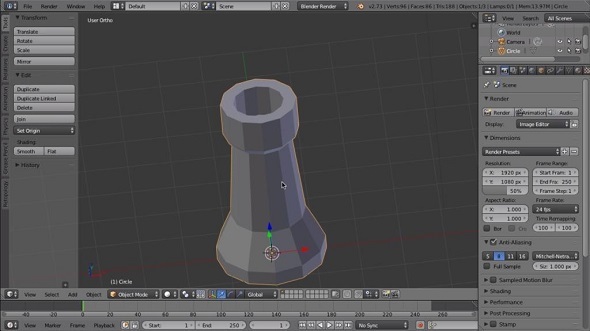 In this blog post, we will dive into the most important 3D modeling terminology for beginners. A 3D model is the digital representation of a three-dimensional object that is created in dedicated 3D modeling software. 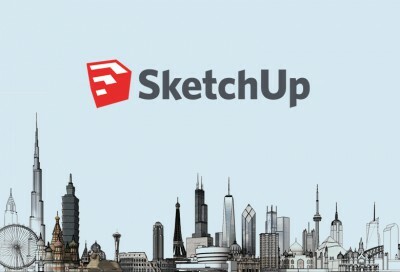 A 3D model is more than a simple sketch of an object on a 2D surface. A 3D model can be turned and looked at from every different angle. In order to understand how 3D modeling works, it helps to have a basic understanding of the key 3D modeling terms out there. This is also crucial for beginners in order to be able to follow tutorials without always having to look up the most common terms. NURBS stands for Non-Uniform Rational Basis Spline. A NURBS model is a mathematical modeling type commonly used to generate curves and surfaces. The main advantages of this modeling technique are the great flexibility and precision you have in generating your shapes. In contrast to Polygon Modeling (which we will discuss a little bit later), curves are created with a tool that works very similarly to the pen tool in MS paint or Adobe Illustrator. The curve is drawn in a 3D space, and edited by moving a series of handles called CVs or control vertices (see below). Alternately, a curved surface can be created by revolving a profile curve around a central axis. This is a common (and very fast) modeling technique for objects that are radial in nature. 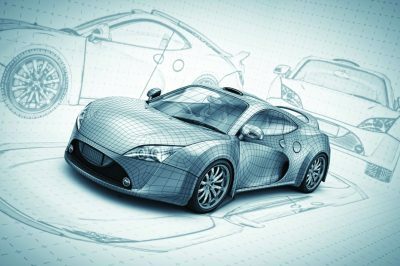 That is why this modeling approach is very popular for creating automotive and industrial parts. The following image is a NURBS model that was created in Rhino, a powerful and popular 3D modeling software for product designers. 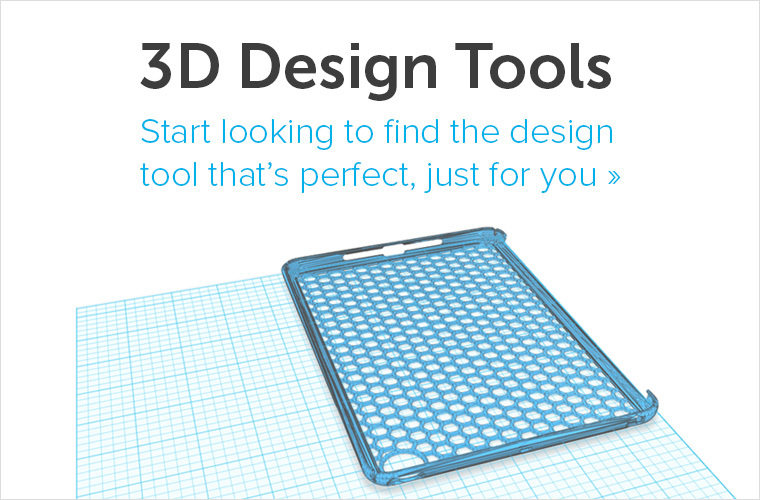 You can find a tutorial to make Rhino models 3D printable on our blog. 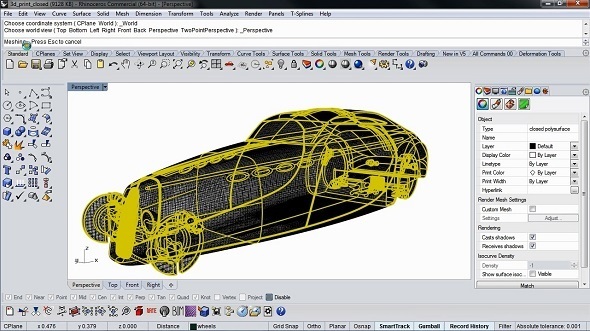 A good way to introduce Polygon models is to compare them with NURBS models: NURBS is a mathematical model whereas Polygon models (also known as meshes) are a collection of vertices, edges and faces that define the model, which allows for easy and precise editing of parts of your object. By changing the coordinates of one or several vertices, you can change the shape of the model. The image below shows a low-res polygon model created in Blender, a popular and free 3D modeling software. You can find our beginner-friendly Blender tutorial here. Faces: A face is the most basic part of a 3D polygon. When three or more edges are connected together (explained below), the face is what fills in the empty space between the edges and makes up what is visible on the polygon mesh. We painted one face on the image below in green. Edges: An edge is another component of a polygon. Edges help define the shape of the models, but they can also be used to transform them. An edge is defined by two vertices at their end points (explained below). The edges of a single polygon are pictured in red in the image below. Vertices: A vertex is the smallest component of a polygon model. It is simply a point in a three-dimensional space. By connecting multiple vertices with edges you can create a polygon. These points can be manipulated to create the desired shape. The little light-blue dots represent four vertices. Now that you’ve seen a presentation of polygon models, you can also quickly see the downside of it: since the edge between two vertices always needs to be straight, it is difficult to create a round shape or curves… but there is a trick. This is where subdivision surfaces come into play! 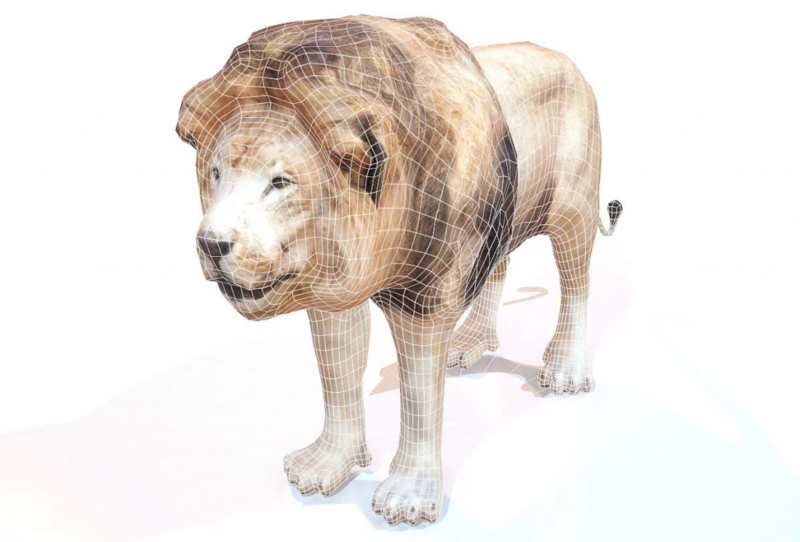 Subdivision surfaces, which are also sometimes called NURMS (Non-Uniform Rational Mesh Smooth), are here to save the day: it is a method used to smoothen out those pixelated meshes. Subdivision surfaces use an algorithm to take polygon geometry and smooth it automatically. They actually subdivide each polygonal face into smaller faces that better approximate the smooth surface. 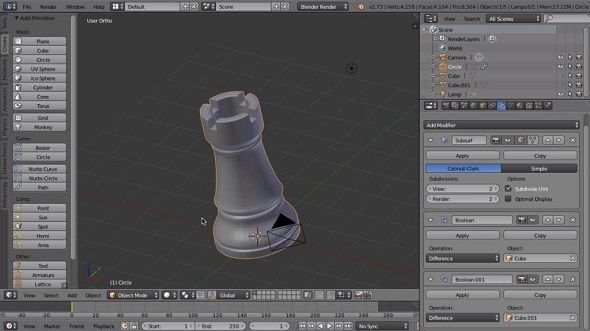 For example, in the image below you can see the same chess piece with smoother surfaces. That’s because the mesh is simply much more detailed now and appears smooth thanks to the NURMS modeling technique. 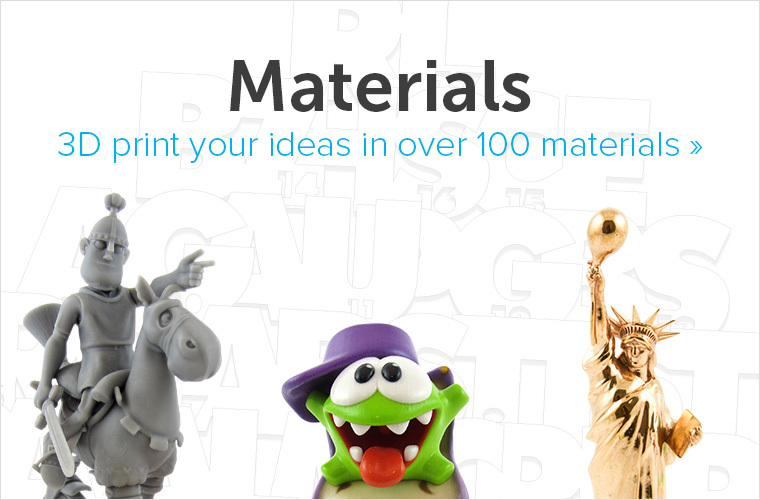 We have compiled a vast overview of all 3D modeling and 3D printing tutorials here. We have created an overview to make choosing a free and beginner-friendly 3D modeling software easier for you. We have written a blog post about the most important 3D printing technologies and materials you need to know. 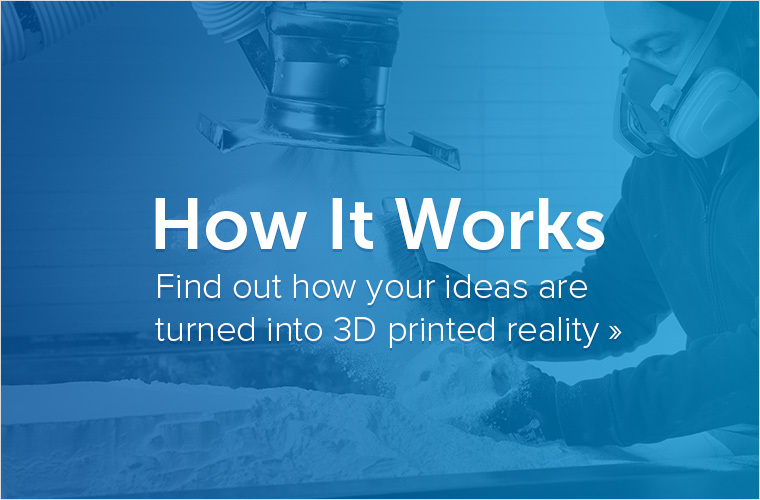 If you already have a 3D model and want a high-quality print, you can simply upload it here and print it in 100+ materials and finishes.